Is it Friday already? The last few weeks have gone by sooooooo quickly. Work has been busy lately, and Dan has been traveling for work, so it's just been a flurry of activity. I also realized today that I haven't been blogging at all recently (minus my weekly training recap and Friday post). I miss writing and hope I can get back into it soon! Another new song from Sam Smith came out, and it's SOOOO GOOD!!! Now I'm just eagerly waiting for his full album to come out. The art work for the record recently came out which means the release date has to be soon! I can not WAIT. 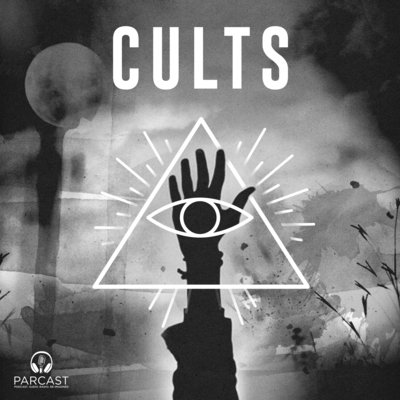 If you're looking for a spooky and creepy (but also interesting) podcast to listen to, look no further than Cults. This podcast discusses famous cults in history (starting with one of the most-known, the Manson Family) as well as takes a psychological look to the reasons why people would join or become cult leaders. For some reason, cults have always been an interesting subject to me (but no, I have no interest in joining one!!!) so I'm enjoying this podcast! At Expo East, one of the booths that I stopped at and really enjoyed was Dharma Bar. The company's motto is "Food with a Purpose", and they make organic, vegan, gluten free and kosher energy bars. I really like the taste of these and have been eating them before workouts. They have a great texture and I'm able to digest them easily (I usually have issues with eating before running but I haven't had any problems with these!). These bars can be found online, or in stores if you're in the DC/Virginia area. We're a few weeks into the season, and I definitely have some opinions! This week was my least favorite annual themed show (Most Memorable Year), but I'm looking forward to my favorite theme next week (Disney!!). My favorite stars so far are Lindsey Stirling (who was my favorite coming in and I love the creative routines that Mark has been coming up with), Frankie Muniz (who just seems like the sweetest, most genuine guy ever), and Jordan Fisher (soooooooo talented- just check out that dance above). This season most of the stars seem to really be on an even playing field in terms of scores, so it will be really interesting to see how eliminations go from here till the end! I used to be really big into watching videos on YouTube, but lately I've only been logging on to watch videos in the Worth It series on Buzzfeed. On each episode, the guys go to 3 different places in the same food category to try the same dish at 3 drastically different price points. You'll see them try stuff like $2 slice of pizza vs. $2000 pizza, brunch, buffet, pasta, etc. etc. etc. It's so fun to see how the other half lives sometimes ;) The series also covers lifestyle topics, like getting tattoos, looking at apartments, and more. It's a really fun series, and the guys that host it are hilarious. Who else is watching DWTS? Totally looking into Worth It! I usually do watch DWTS but am behind on several episodes! I used to watch DWTS but not anymore. I know you like Big Brother, but are you watching Survivor? I don't really watch much on Youtube to be honest. Worth It seems intriguing though!! I'm really loving Sam Smith's new song too. He performed it on SNL last week and it was great. That Youtube channel sounds awesome! I never really watch youtube videos but I'm going to have to check them out because I'm totally curious! Buffalo Creek Training : Race Week! Top Five Friday : Go Time!